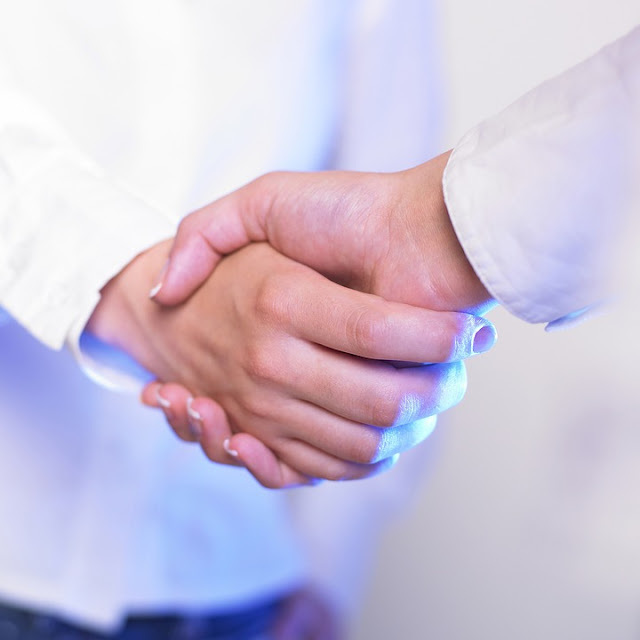 Trust is very important to attract new clients and build trust should be an important part of Your marketing strategy. It is already a major key in business, especially to hold a transaction required the confidence between the two sides in advance. In previous articles, we've discussed the importance of belief in building a business. And for this time we will discuss how to build trust in doing business. Before buying from you, the buyer must believe that your products and services will fulfill their functions. What is the marketing you help build the trust needed to convince prospects in order to buy from you? If you are working hard to attract clients and customers, please use the following tactics to transform prospects into clients. Regardless of how big your credibility or the abundance of experience you have, the more people will pay attention to what other people are saying about you. You can contact your customers to ask their opinion towards your product or service, what they like and how it could help them. Edit their comments, ask for permission to use their comments and view testimonials in Your marketing materials. We started not to trust advertisements and start to believe what we read in the article published. Invest your time to write articles that make you an expert. If you create your ad, enter your testimonial to them. When you give something to other people, regardless of price, they will believe in you and in return they will buy something from you. Use eBooks, articles, workshops or free demo to build trust. When you need a new doctor, lawyer, plumber, Carpenter, or dining, you ask a friend to get a referral. You believe the recommendations given by people you know, and in fact, such is the way most people get jobs. Don't wait for the referral came unexpectedly, apply a proactive system to get referrals. Build a business you trust and towards your market. Involve them to support your products and services in their marketing and do the same thing for them. If a personal referral is ideal, the support is the second ending theme. This tactic can double the achievement of marketing at no cost. People do business with others. You have to help prospects get to know and trust you. Let the passion and personality of your entry in the marketing and Your professionalism. Enter a photo of yourself with a reassuring smile, to be mounted on the first page of your marketing material. If you want your clients can get in touch with you, show you how. Enter Your phone number at the top of the marketing material and inform on them to contact you. When you contact them, please provide your phone number again at the end of the talk and tell them to contact you. If you have a website, include the contact form at the top of your homepage. People you meet and talk to on a regular basis is usually the most people you trust. Communication is not the only ingredient in developing confidence, but this is a very important thing. If you are selling services or products, the high-end personal phone is one of the best ways to answer the question of prospects and building trust. Contact your prospects or clients on a regular basis and get feedback on what became their attention. Use this marketing tactic eight to build trust and you'll find more prospects buying your products and services.